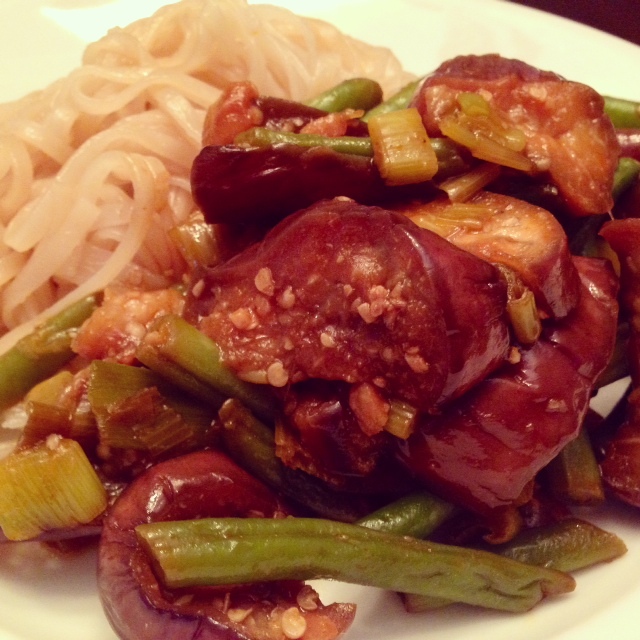 Spicy Eggplant & Green Bean Stir Fry. 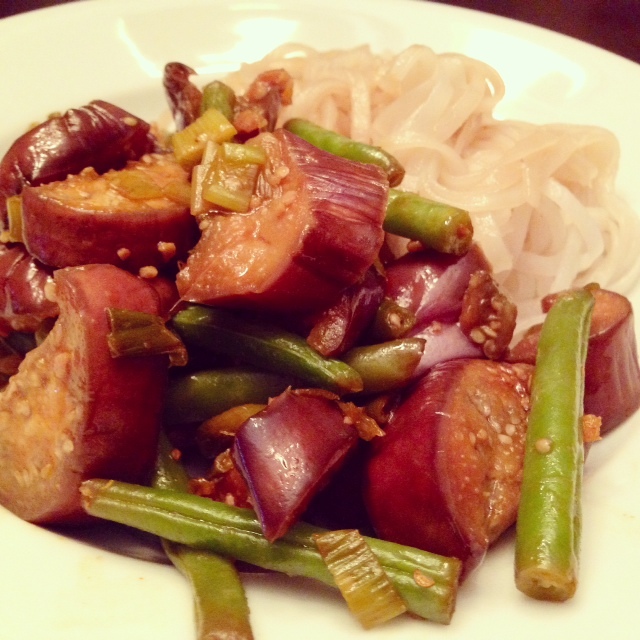 Gluten-Free Spicy Eggplant & Green Bean Stir Fry. The Charlotte Regional Farmer’s Market is one of my favorite places I’ve found in Charlotte. They have the greatest selection of fresh (and inexpensive!) vegetables. 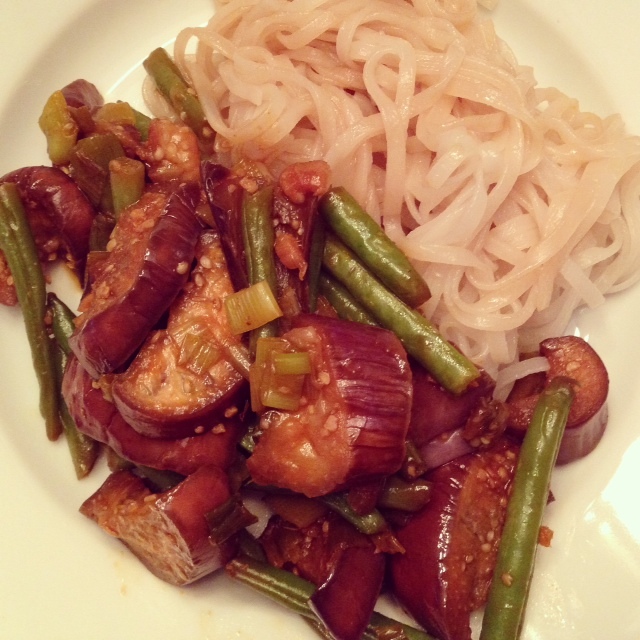 I picked up some gorgeous Japanese eggplant there so wanted to make an Asian inspired stir fry with them. This creation has a lot of delicious flavor but is still a light and healthy dish. I served it with some rice noodles but you could also serve it with brown rice or top it off with some meat, too. Heat the olive oil on medium heat and add the chopped garlic. 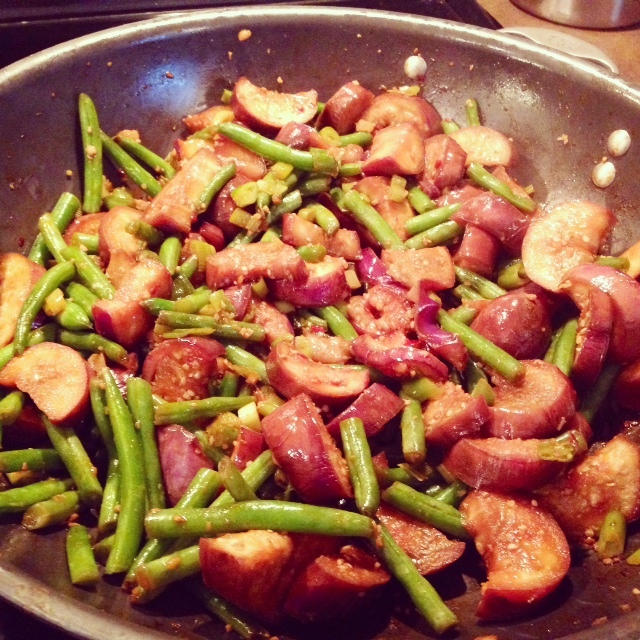 Once heated, add in the green beans and eggplant and cook for 10 minutes or so, stirring often. Once the vegetables begin to soften, add in the Tamari and the sesame oil. If the vegetables start to stick to the pan at all, add a splash of water. Cook for about 7-10 more minutes and then add the ginger, Sriracha, green onion and red pepper flakes and stir well in the pan to combine. Serve with your choice of side.